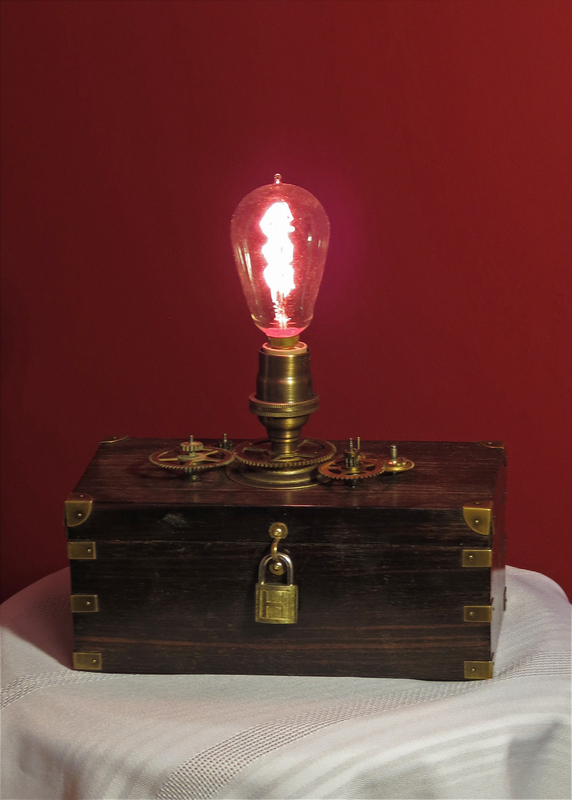 This nice little vintage brass-cornered box has been turned into a steampunk-y lamp with the addition of a few gears and a small padlock – which kind of makes it look like a treasure chest. A reproduction Edison bulb completes the look. All electrical components are new. Comes with a candelabra socket, approximately 6′ of clear vinyl cord. The 25 w Edison bulb is included.